Coghlans Eight Piece Waterproof Tinder Kit | BUDK.com - Knives & Swords At The Lowest Prices! 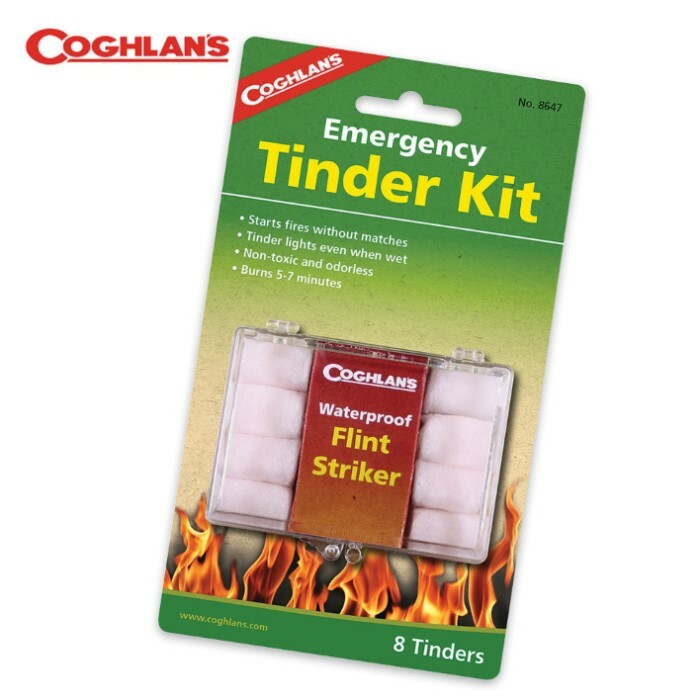 Coghlan's tinder kit is a must-have survival necessity for every camping pack, bug-out bag and emergency preparedness kit. Each tinder burns from five to seven minutes. They are easy to light, odorless and non-toxic, giving you the ability to start a fire without matches. They even light when wet. Pack of eight.